This page will link to multiple resources you may find helpful when working with offshore / offshore providers. I will update it by adding links and pages underneath. If you have information you’d like to share / include here please contact me and I’ll do my best to accommodate. Recommended Reading is a list of outsourcing books that I find informative, thought provoking, or otherwise worth paying attention to. A used Amazon bookstore UI as it turned out to be the easiest way to manage the list and provide the references. Best Places to Find a Freelancer includes a list that covers websites and forums where you can find freelancers and offshore providers. 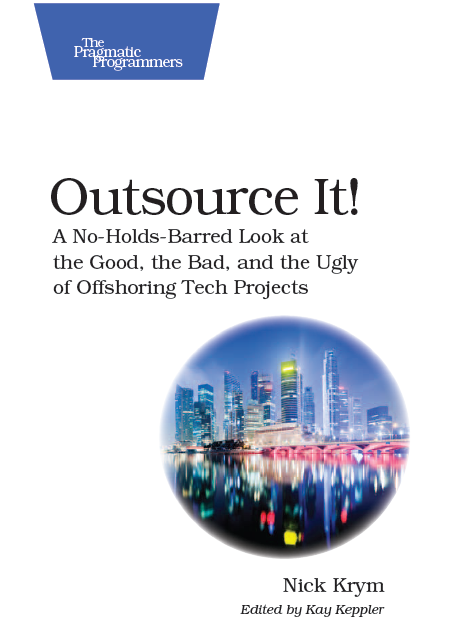 Outsourcing Blogosphere includes a list of blogs directly or indirectly related to IT outsourcing, offshoring, freelancing and other relevant topics. Outsourcing Advisors includes a list of companies that provide outsourcing governance and advisory services. The list is updated approximately once a year. Outsourcing Associations includes a list of offshore outsourcing associations, these links could be particular helpful during vendor search and analysis phase. The list is updated approximately once a year. Articles this page includes a running list of articles, white pares and specific posts that I find interesting, thought provoking or otherwise worth your attention. Please email me krym2000-PO [at] yahoo.com or comment on this page if you have idea for additional resource types or specific material you want to share. Great list of resources. I have bookmarked it as it is a very handy list. There are many sites that I have often looked for before so it’s great to have them all in the one area. Keep up the great work! Do you have any data – in terms of a report or research published, which compares the cost of development in India and the U.S. The following example is something from 2005, am looking at something from 2008 or 2009. Can you help?